A extremely addictive variation of classical Color Lines game, logical game for people of all ages! golden lines game will fun you ! 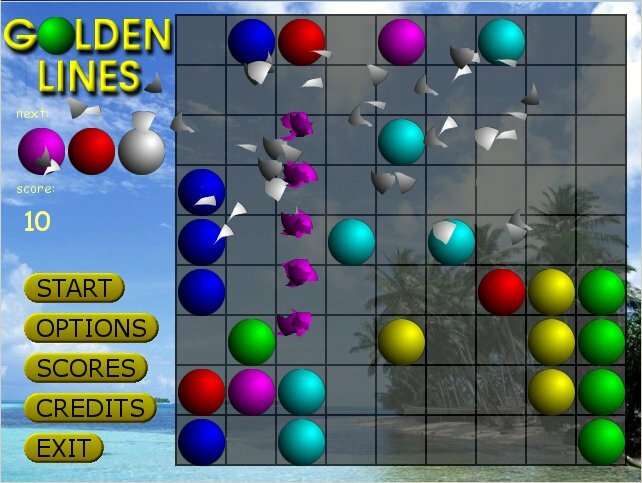 Golden Lines is extremely addictive variation of classical Color Lines game, logical game for people of all ages. Your task is to build lines of balls of the same colour. Every time you move a ball, 3 new balls appear. When you build a line of 5 or more balls, these balls are removed from the board. Sounds easy? Try it. 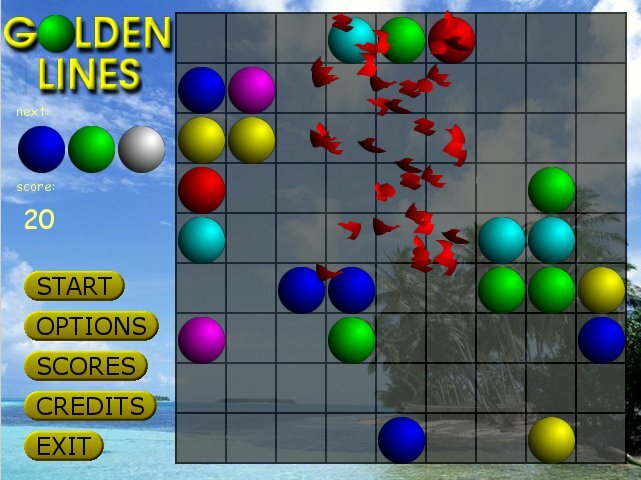 Golden Lines has excellent graphics and sound effects. How to Play Gold Lines Game ? You may move balls on a board 9*9. Your purpose is to form 5 balls of one colour in one line after this they disappear and you get score points for them. Moving balls can block each other's road. When there does not remain a single free field on the board - you lose the game..
AstroPop Deluxe - Blast off with earth-shattering arcade puzzle action ! New enhanced AstroPop Game Deluxe Version for you!